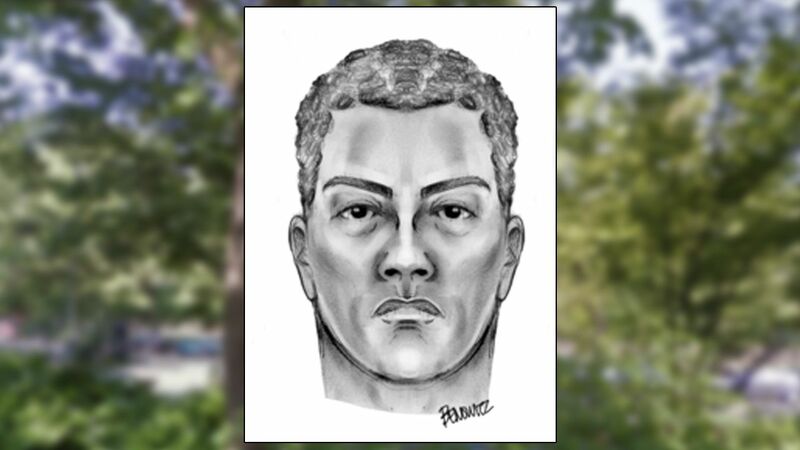 UPPER WEST SIDE, Manhattan (WABC) -- The NYPD released a surveillance sketch on Thursday that they hope will help them locate a man who attacked a woman in Manhattan last week. Police say that on Friday, August 5 at approximately 5:20 a.m., a 48-year-old woman was walking her dog in Riverside Park, near the corner of 107th Street and Riverside Drive. That's when a man approached her, asked her for the time and then proceeded to grab the victim and place her in a headlock. She then hit the man in the groin area, releasing herself from his grip. He then placed her in another headlock and attempted to kiss her on the lips. The victim then bit the man's lip, causing him to release her and flee the park. The suspect wanted is described as a male, approximately 20-30 years old, 145 to 155 pounds, medium complexion, muscular build, brown short curly hair and brown eyes. He was last seen wearing a gray shirt, khaki shorts, and white sneakers.